The latest animated Star Wars TV series, Star Wars: Forces of Destiny, premieres today. Eight shorts will be released from today and subsequent new shorts will be released each day on YouTube until July 9, when the first eight shorts will be released on Disney Xd. More episodes will air later in the year. 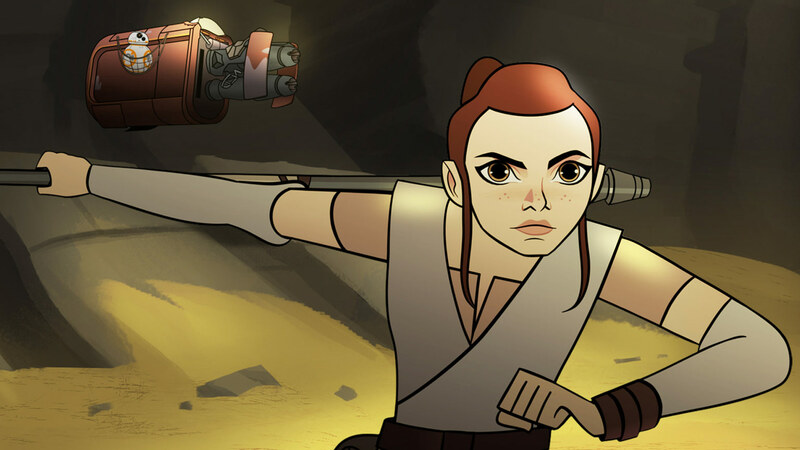 Disney and Lucasfilm's Forces of Destiny is the second animated Star Wars TV series they have created which will remain true to the Star Wars canon. The 16 episode miniseries is set to take place around all eras of the Star Wars Universe and features an all-star heroine line up of Rey, Princess Leia, Ahsoka Tano, Jyn Erso and Sabine Wren. Daisy Ridley, Felicity Jones, Tiya Sircar, Ashley Eckstein and Lupita Nyong'o (Maz Kanata, narrating the series) have all agreed to reprise their roles for the show. Lucasfilm Kathleen Kennedy said: "We're thrilled that so many of the original actors are reprising their roles in these shorts which capture the small moments and everyday decisions that shape who these chracters are. "Star Wars: Forces of Destiny is a fun new way for people to experience Star Wars."